1 Patricia J. Telesco Famous Sayings, Quotes and Quotation. 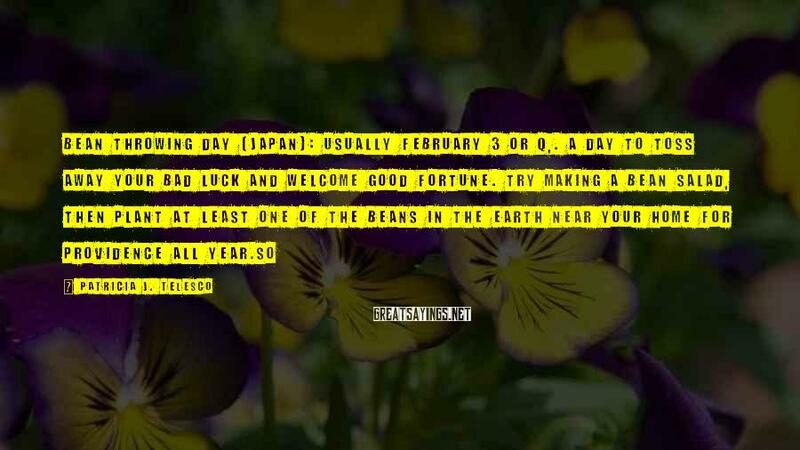 Bean Throwing Day (Japan): Usually February 3 or q,. A day to toss away your bad luck and welcome good fortune. Try making a bean salad, then plant at least one of the beans in the earth near your home for providence all year. Copyright © 2019 Great Sayings. All Rights Reserved.